When Beth from Knot:ical contacted me about her gorgeous collection, I knew immediately that it was something that I wanted to share with you. The Bermuda bracelet arrived in the mail and I was immediately taken with the high quality hardware and craftsmanship of the bracelet. The neatly wrapped bracelet arrived in this pretty gift bag. The solid construction and careful wrapping make this bracelet study and long lasting. I love the gold colored thread with just a touch of silver in it. The nautical clasp and hardware looks like something right off of a sailboat. Oh so nautical! 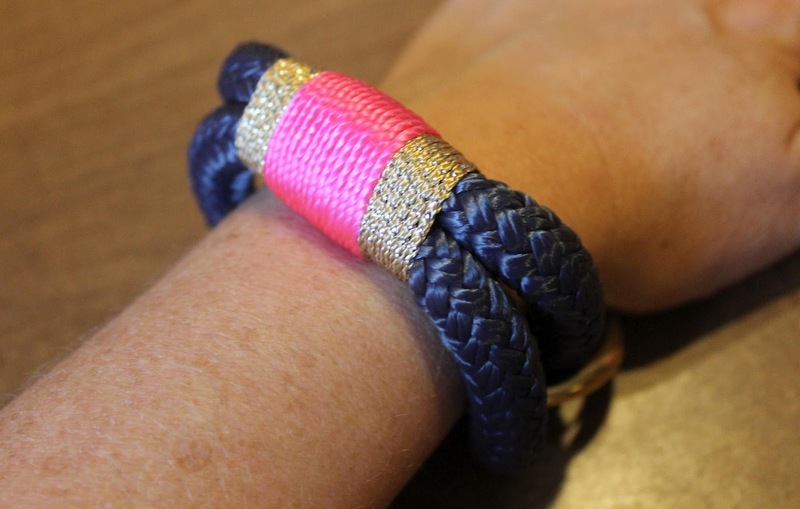 My friends at Knot:ical have a bracelet in every color combination and style imaginable! Wear one in your college or sorority colors. It's a great statement piece and everyone will want to know where you found it. Here are some of my favorite pieces from Knot:ical's current collection. 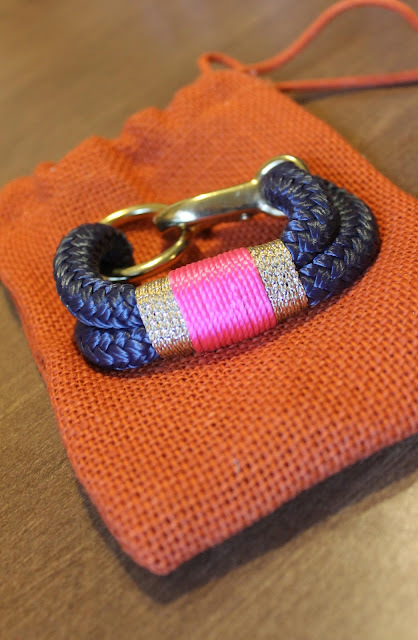 I'm also loving the nautical key fobs! Wouldn't one of these make an adorable hostess gift when you're visiting friends at the beach? You can see more of Knot:ical's designs here or on their Facebook page. 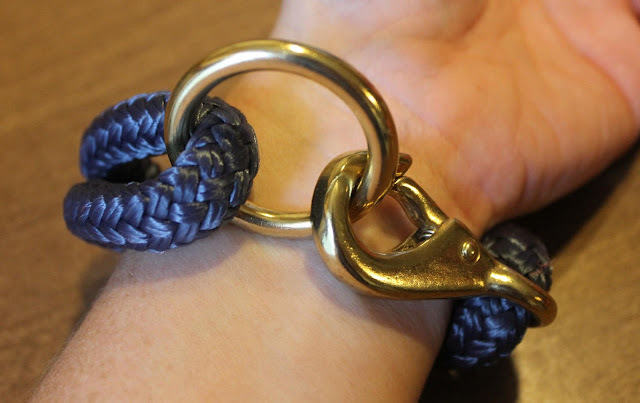 Be sure to check out my Facebook page later today to see how I styled my new Knot:ical bracelet. Many thanks to Beth for reaching out to me. Love these bracelets - the perfect summer accessory! Love those! The Sanibel Island one is so cute!